If you have not been using a Point-of-Sale (POS) system for your bar, implementing one can transform your business. Bar point-of-sale systems help you to run your bar efficiently. It allows you to provide faster service, improve inventory and order accuracy, and increase customer satisfaction. Bar POS systems can streamline nearly every facet of your business. It can update your menus, send orders to the kitchen, monitor sales, track your food inventory and much more. More importantly, the right bar POS also enables your staffs to provide top-notch service to your customers and ensures that your business always remains ahead of the competitors. Let’s take a look at 10 of the Best Bar POS software. 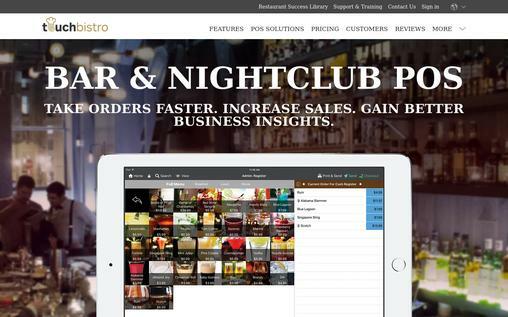 TouchBistro offers an iPad Point-of-Sale software solution for bars. It comes with a host of features built to streamline the workflow of your bar by providing a solution that integrates the back-end and front-end. With more than 3000 users worldwide, TouchBistro is a fully scalable solution for companies of all sizes. It is the only POS that doesn’t depend upon the internet so there is no downtime. It enables you to monitor you bar and access your data from anywhere, anytime and from any device thanks to the cloud. You can customize your happy hours deals by day, item and time. Easily split bills by seat or into equal payments for quick settlement. You can print receipts if desired or it can be also emailed to customers. The POS can be removed from the counter and conveniently move with your staff down the line to help cope with rushes. Real-time reporting and more than 20 different reports. 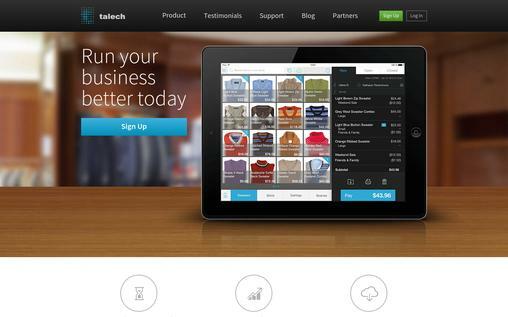 talech is an iPad POS system designed to simplify the operations of bars and restaurants. With talech you can do more than just taking orders and processing payments. It’s simple and intuitive interface allows you to set up quickly to track inventory, apply discounts, customize orders, build customer relationships and manage employees. With the clock in feature you can track and manage hours worked by employees. It offers you detailed reports on top sellers, sales trend and employee performance. It stores all you data in cloud so you can manage your business in real-time from anywhere you go. It supports multiple payments such as cash, credit card, check and split-bill payments. It allows you to adjust tips on printed receipts or on your device. It integrates with many third-party business applications such as QuickBooks, Shopify, Xero, MailChimp and many more. You can view your inventory in real-time and edit price, cost and quantity information. The pricing plan starts with $49 per month for first device and it will cost you $24 per month for each additional device. You can reach their support team through live chat, phone and email. AccuPOS offers a bar POS system with flexibility, mobility and accounting integration. It automates the tedious tasks like stock management and even tracking the ingredients of your cocktail lists to speed up and increase the efficiency of your bar. The POS works on both Android and PC devices, so you can manage it from anywhere, anytime. Easy and intuitive interface to manage high volume of orders in lightening fast speed. The optional AccuSHIFT add-on allows you to monitor and manage your staff’s hours on the same system. It connects flawlessly with your accounting software such as QuickBooks and Sage. It helps you to manage and track your beverage costs, spills and thefts. It helps you to make your bar mobile with android tablets and other devices and allows you to make sales directly at customer tables. The membership plan starts with $29 per month. 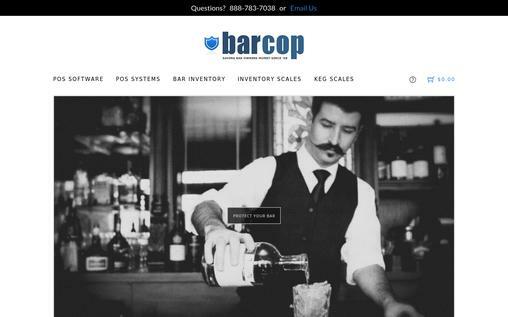 Bar Cop is specially designed for Bar POS and provides all the features you bar needs to effectively and efficiently manage your sales, inventory and employees. 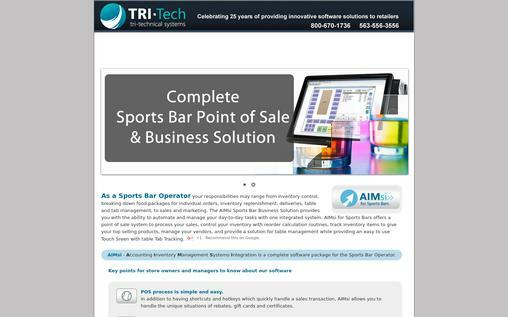 It offers all the features of an expensive bar POS software plus more at an affordable price. It works on any Microsoft Windows OS and is completely scalable to grow your businesses. Fully integrated credit card processing. It easily integrates with QuickBooks accounting software. Automatic happy hour pricing which changes to default price after the happy hour. Print to kitchen or service bar to eliminate chaos and wait time. Through the integrated jukebox, allow your customers to pick their own songs. It offers hundreds of Point of Sales reports. 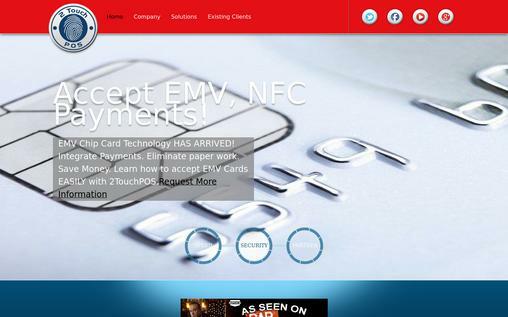 The software is compatible with EMV chip credit cards; all you need for that is an EMV cheap reader. It offers a one-time purchase at $499 with free software updates and 24/7 phone support. 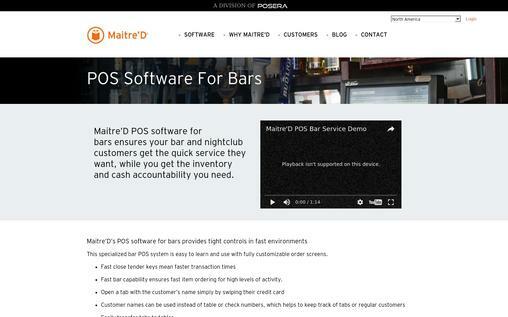 Maitre’D POS is one of the most feature rich and easily customizable bar POS that ensures quick service to your bar and nightclub customers while helping you to manage the inventory and cash. It provides flexibility to businesses looking to work either on a tablet or a traditional desktop. Open a tab with the customer’s name by simply swiping their credit card. Also, easily transfer tabs to tables. Happy Hour pricing can be scheduled to go on and off automatically. Cocktail recipes can be printed or displayed for customer inquiries or training. It offers labor management, inventory management and cash management features. It integrates with accounting and payroll interfaces such as QuickBooks, Microsoft Dynamics, AccPac and more. Barcode integration to ensure all the items are accurately counted. You can use biometrics or magnetic card readers for secure employee logon. It supports multiple languages and provides advanced reporting. The pricing plan begins at $50 per month per workstation or you can go for an upfront purchase of $1000 per workstation. AIMsi is a complete POS, inventory management and accounting software that supports the needs of bars as well as retails. It allows you to build your own custom solution by adding just the features you need. It allows you the handle gift cards, rebates and certificates. Automatic optimization of inventory levels to keep your bars stocked with items that sell. It combines POS, inventory management and service repair all into an accounting package, including Accounts payable, Accounts receivable, balance sheets, general ledger, profit & loss and various reports. You can integrate credit card processing. More than 200 pre-designed reports with a report wizard to create new reports. Spend less than $3500 for this comprehensive AIMsi POS software. eZee BurrP a fully integrated intuitive restaurant POS software, suitable for bars, quick service restaurants, night clubs, delivery and other operations. This desktop based POS provides the required tools to speed up service and increase the efficiency of operations of your bar. Kitchen Display System (KDS) immediately displays all the orders in the kitchen for faster order preparation and quick service. It manages the entire billing process including splitting bills, removing items in an order, payment preferences and more. It provides solution for table management and menu management including the option to create multiple orders, customize orders with modifiers and more. Sophisticated inventory and stock management module to manage the stock, track items and decrease wastage. The head office module helps you to manage your entire chain restaurant from the head office unit. Its Mobile App for POS reports offers instant summarized reports of revenue data right to your Smartphone and tablet. Get a free trial of 30 days to try it before buying. 2Touch POS is an excellent POS system designed specifically for bars and pubs but has extended to offer functions for restaurants and nightlife operations. It can help your operations run smoothly when your business gets busy. It is easy to use and provides many features including, tab management, last round orders, ability to split tabs and nightly specials. 2Touch POS helps you to finish the sale on the floor or kitchen through its touch terminals, receipt and kitchen printers, phone integration and credit card system. You can update the price of a menu item in real time with 2Touch station and the system will push the update to all the connected stations. It allows you to print tickets right to the kitchen to increase order efficiency and reduce wait times. 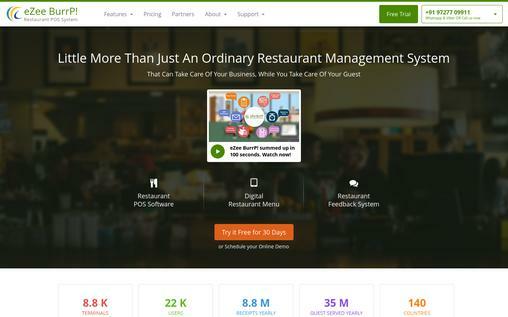 It automatically adjusts the price for ‘happy hour’ or other event. Online ordering feature allows you to take orders online. 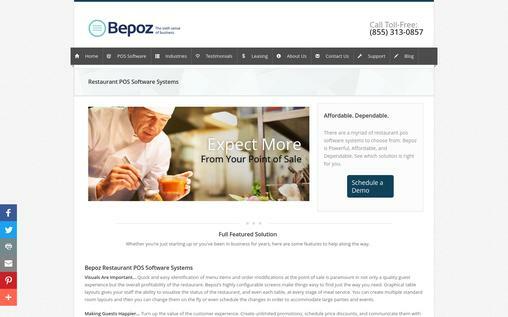 Bepoz is a cloud-based POS software that provides affordable and dependable POS system for Bars. It has one of the most customizable and configurable reporting and analytics in the industry. Highly configurable customer loyalty, memberships, vouchers, promotions and more are some of the notable features of Bepoz. Order modification at the point of sale. Ability to visualize the status of each table at every stage of meal service through the graphical table layout. Schedule price discounts, create unlimited promotions, and communicate your customers through SMS and email to get people in the door. Table and seat tracking to improve your customer service level. Track tips and split checks and combine checks. Ability to tag tables for VIPs and regulars. With a Kitchen Display Systems or Kitchen Printers each station can get the information they need to make the order just as requested by the guest. Receive inventory on mobile device. It provides in depth standard reports, also you can customize the reports as per your need. It offers a pay-as-you-go plan starting at $69 per month. 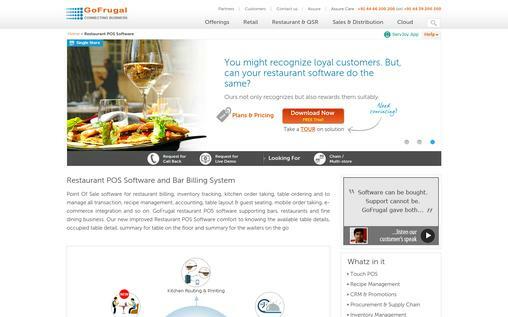 GoFrugal POS offers online, on premise and mobile POS solutions for bars and restaurants of any size. Inventory tracking, restaurant billing, kitchen order tracking, recipe management, mobile order tracking, accounting and eCommerce integration are some of the features that set GoFrugal aside. Create orders, split different items in the order and route them to the kitchen. Set prices based on service level such as AC, Non-AC etc. and order types such as take away, dine in, delivery etc. Also you can set add on prices. Manage guest seating arrangements as well as floor and table layouts through a touch screen interface. You can merge multiple table bills into a single bill or you can dutch a single bill with zero processing time. Get alerts and notifications as SMS or email. It integrates with your online store (eCommerce). Get reports on your laptop, tablet and smartphones and personalize them as per your liking. 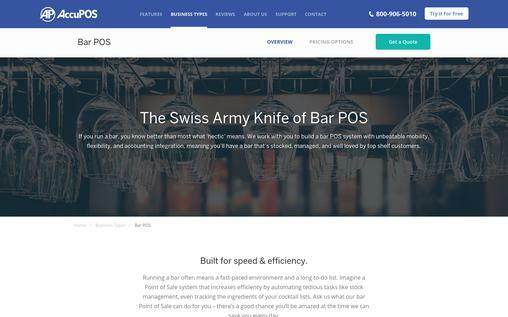 An optimized bar POS software will help you streamline your business operations, better understand your customers, and allow your staffs to provide the best possible service to your guests. Choose the right bar POS software for your bar to become one of the hottest venues in your city.